And no, it's not the nastiest injuries they've seen. Seriously, don't even think about asking them. A call to 911 means that an ambulance will arrive in mere minutes, right? But what happens if the call is placed from an area that's so rural it's actually called "frontier" territory? And there's a blizzard? First off, the patient might be carried out on a sled. Second, it might take more than a few minutes for medical assistance to arrive. And once the ambulance arrives, regardless of location, it comes as news to some people that the next few minutes are not always a high-octane, super-fast-paced experience. And these scenarios are just the beginning: the challenges Emergency Medical Services (EMS) practitioners run into every day may surprise people who generally live and work outside of the EMS sphere. Here are six things you may not know about their world. MYTH: Emergency Medical Technicians (EMTs) and paramedics are basically a ride to the hospital. BUT ACTUALLY: They often save a life on the spot. When an ambulance arrives, family members or bystanders likely want to see the patient loaded up and sent off to the hospital as quickly as possible. And yes, sometimes this is the best course of action. But not always. 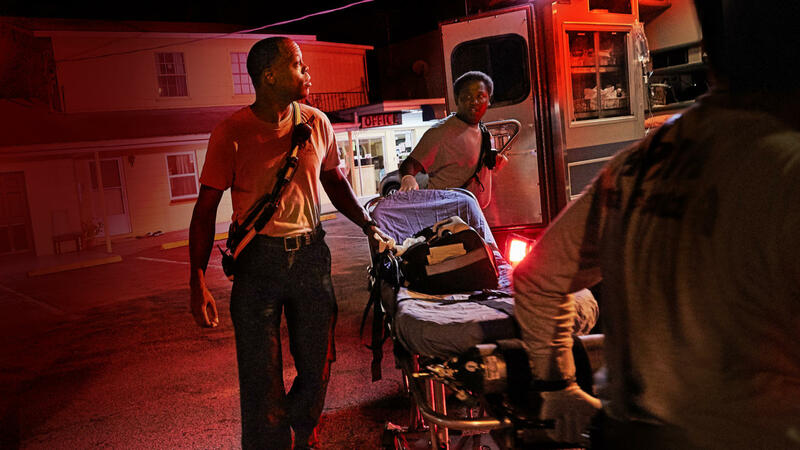 EMTs and paramedics are highly trained — and one of their skills is making split-second, on-the-spot decisions. (Paramedics have more advanced training than EMTs.) Catharine Found, a paramedic for the Johnson County Ambulance Service, in Iowa City, Iowa, explains two opposing approaches: "stay-and-play" vs. "load and go." "It's a constant battle," she says. "How much does the patient need you to get them to the emergency room versus how much do they need you right now? If the transport time is 20 minutes and they don't have a good airway, then you're not going to save their life anyway because they're without oxygen for that long. So we'll 'stay and play' and establish a good airway, establish a good IV line, get our CPR under control, and get them on the monitor. In other cases, we may decide to transport, rather than watch the time pass." Every call is unique, and, Found says, "The longer you're in the business, the more you know how to deal with people telling you what they think you should do." A drill at the wind tower farm north of Rugby, ND, in 2015. 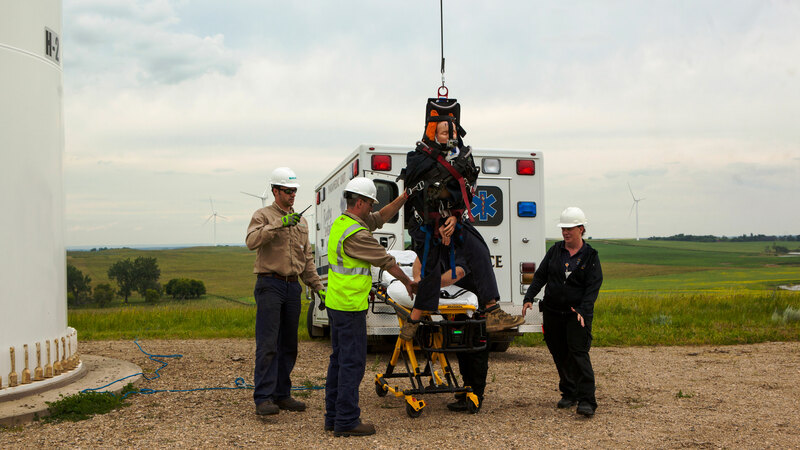 Employees of the Iberdrola company were trained by Rugby EMS and provided with a specialized immobilization harness for lowering injured workers from the wind towers. Photo courtesy of Ken Reed. MYTH: A 911 call guarantees a super fast response, no matter what. BUT ACTUALLY: Several factors play into the time before EMS practitioners can be on the scene. If there is any question about on-scene safety, EMTs and paramedics take direction from police. They are not permitted enter an active crime area. Pamela Lane, executive director of the National Association of Emergency Medical Technicians (NAEMT) says, "In active shooter situations, victims can bleed out very rapidly, and while we want to get EMS practitioners on the scene as soon as possible, we must wait until the scene is safe." Squads also have to consider their own safety in terms of driving speed and approaching their destination with care. 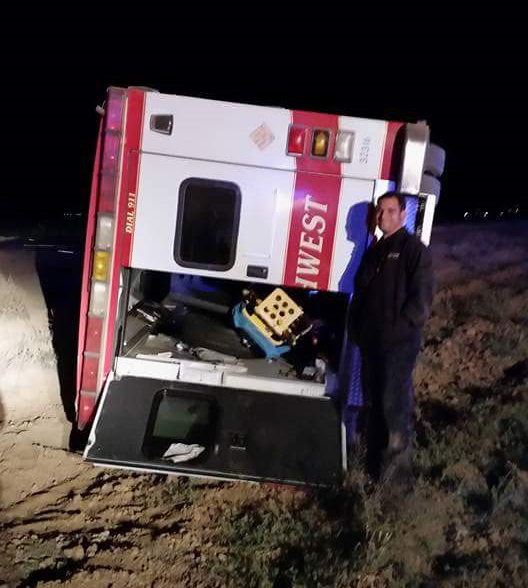 Kevin Todd, an American Medical Response paramedic in Coolidge, AZ, says, "People don't pay attention to the sirens, and they don't get out of the way when they're supposed to." With that in mind, Todd and his Pinal County team usually stay pretty close to the speed limit to avoid accidents of their own. "If we don't get to the call, then we can't help anybody," he says. And in cases like paramedic Ken Reed's, the weather can be a major factor in response time. Under these circumstances, the timing wouldn't really be considered a delay — rather just life on the frontier. Reed's team, out of the Heart of America Medical Center, in Rugby, ND, is the first — and often only — line of defense for its patients. The members of the squad carry snow shovels in their vehicles so they can dig their way to people's front doorsteps, and during severe storms they sometimes drive behind plow operators to get to the scene. Sometimes, though, digging and plowing is not enough. "We have a covered sled, basically, that we've used several times over the years to get to a patient because an ambulance couldn't move." MYTH: A day in the life of an EMS practitioner equals ALL drama ALL the time. BUT ACTUALLY: A good amount of the calls they respond to are fairly mundane. Are some calls super intense? Absolutely. But is super intense the norm? Not so much. EMS teams address not-so-intense, but important, calls every day. In fact, in many cases, community or county squads provide a range of services, beyond emergency care. For instance, Reed's team sees a lower volume of patients, but the reasons they're called in are more diversified because primary care physicians are much farther and fewer between. Even in more populated areas, EMS services extend beyond the obvious. Lane says sometimes people just don’t know who to call and they need a ride, even for more basic or non-emergency services. Found explains, "On an average day, we'll probably have two or three accidents, but one actually gets transported to the hospital and it's not usually that serious. It's not all blood and guts and shouting. A lot of the community has other needs: they're diabetic, pregnant, or part of the transient population." Found says, "This is a simulation set up with some of my co-workers. We were practicing doing ventilations with a bag-valve mask while the patient was on the ambulance cot. Patient is paramedic Tiffany Schick. 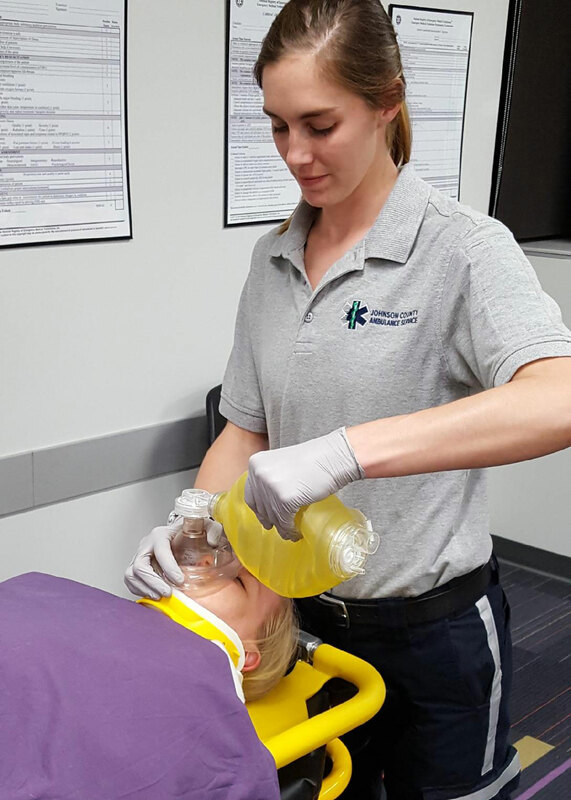 It's sometimes fun for the paramedics to also be the simulated patients so we can get a feel for what it's like on the other end." Photo by Ben Miller-Todd. MYTH: If someone is a "civilian," then they're helpless. BUT ACTUALLY: Laypeople are capable of more than they think. If CPR or first aid training is offered in your community or at your workplace, check it out! "With a bit of training, you can make a huge difference at a really important time," says Debra Bell, the South Region State Planner for the NJ EMS Task Force, and a paramedic for AtlantiCare, a member of Geisinger Health System. Found agrees. "A lot of the best outcomes from cardiac arrest are when laypeople administer CPR right away, before we get there. As much as we would love to just show up right away, especially in smaller communities, it's just not that way. And that's a lot of time to go by. The good thing is dispatchers, nowadays, can administer instructions, and can help people through what to do." MYTH: Paramedics should focus on the patient and that's it. BUT ACTUALLY: They need to take it all in. It could be a matter of life and death. Paramedics need to pay attention — and not only to their patients. Todd says, "There's a lot we're doing, and sometimes we're not as vocal about it as people expect us to be." An effective call requires a high level of awareness from the responding squad. "We have to use our training and our senses to be prepared for whatever comes," says Bell, who's based in Richland, NJ. This goes beyond the experience viewers get from TV and movies. "I want to know how their hands feel, whether they're clammy, or wet," Todd says. "I'm going to watch to see if they're perspiring heavily, [check] their breathing pattern. I'm looking around to see if there are any pill bottles. Typically [we feel like] the family members are thinking, 'Jeez, this guy's not doing anything at all, he's just sitting there.' We're not. We're actively doing and looking and feeling. And smelling. If we don't take the time to figure out exactly what's going on, then it could be detrimental to their care." On April 2, 2016 Kevin Todd's ambulance was struck by suspected drunk driver. Both he and his partner survived with no major injuries. Here's Todd, "thrilled" (his word) to be alive after such an ordeal. Photo by Brandon Wessel. MYTH: EMS practitioners have a super high tolerance for blood and guts and gore. BUT ACTUALLY: In most cases, they don't. They just process it differently — because they have to. Let's say you're at a bar with your paramedic friend, and you're about to ask, "What's the goriest thing you've ever seen when you were working?" Stop. You might want to rethink it. "The worst things I've seen were children that were killed or severely beaten or major accidents where an entire family is dead," Todd says. "People's lives were lost. And yes, there's a lot of gore and nastiness in that, but that question brings up a lot of emotional stuff." Lane concurs, and points out that the stress can take a toll. 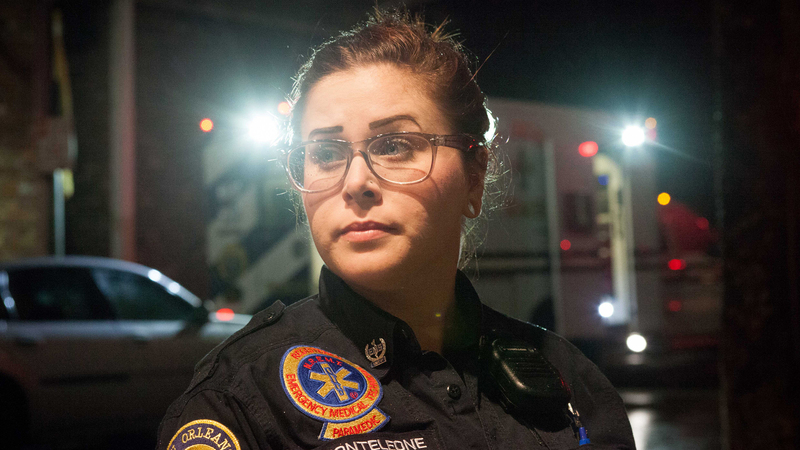 "I don't think the public understands how stressful it is to be an EMS practitioner." Photo at the top of this article by ERproduction Ltd/Blend Images.